Dan, Peter and Scott all appeared in episode one: The day shift, which aired on Tuesday 27 September 2016. Dan joined London Ambulance Service in 2004 and became an Advanced Paramedic Practitioner in 2014. In episode one he attends to a double shooting East London. 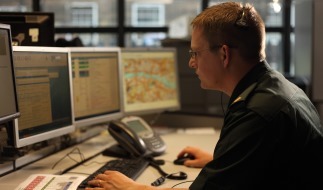 “Advanced paramedics carry more equipment and have a greater variety of drugs we can give to patients, but most importantly, we’re tasked with responding to London’s most critically ill and injured people. For example, one of my paramedic colleagues will go to up to six cardiac arrests a year, whereas in my role, I have been to 270 in two years. In 2000 Peter joined us as a trainee emergency medical dispatcher and is now an area controller based at our Waterloo HQ, making the difficult decisions about where and who to send ambulances to. “During a bank holiday, we’re often dispatching ambulance crews to people who are reportedly unconscious, but really just need a safe space to sober up. Diverting an ambulance from someone who really needs it someone who’s overindulged on a night out is really hard – but you do what you can with the information available. 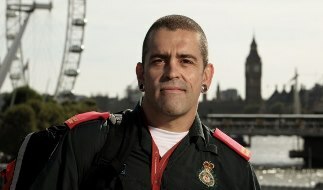 Scott works as a Trainee Emergency Ambulance Crew (TEAC) and joined the Service three years ago. 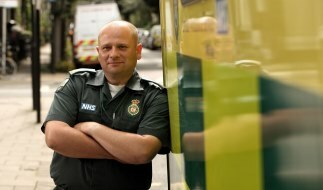 In episode one he and crewmate Andy Willers respond to a patient in a cardiac arrest at a home in North East London. “When you’re dealing with unexpected illnesses and cardiac arrests, you have to remember that, for the family, it’s come out of the blue. Their world has suddenly turned upside down, so we tried to be strong and professional in front of them, letting them know what we were doing throughout and that we were doing our best.